We all know that despite the need for plenty of different technical concerns as it pertains to search engine optimization, quality content is still necessary above all else. The ability to craft quality content will determine whether or not your website is highly ranked by search engines, constantly shared across social media and inherently valued by large segments of the internet. The act of creating quality content via the writing process can affect SEO efforts across the board (among other things), so it is vital that you understand which elements are instrumental to the process. Below, we’ll discuss some tips and steps that’ll help you perfect your SEO content writing. The writing process should be one that requires an immense amount of brainstorming beforehand, which helps to discover new ideas, possibilities and angles to cover. Many people believe that pinging users with content that originally was developed from start to finish is the best approach, but this often is not the case. By forcing yourself to begin with an introduction before mastering what the subject of the content will be about, you are prematurely defining the process and slowing yourself down. By beginning with the core of the content first, you can strategically build the content piece by piece, which will ensure that your introduction and conclusion match the overall sentiment of the content perfectly. This, in turn, helps you ensure that the introduction resonates more accurately with readers and guarantees a greater percentage of them will continue reading. With the vast majority of organic traffic for most sites originating from search, it is important to understand what search engines expect from your content. Furthermore, with Google driving the vast majority of all search engine traffic, its concerns specifically are very important. Writers should grasp how Google handles concepts such as keywords, tags, titles and various phrases throughout each piece of content before beginning the writing process. In many cases, these elements being off in some way or another can create substantial obstacles in the search ranking process that prevents content from being seen by others. By knowing these concerns beforehand, even the newest content creator can ensure that his or her offerings are custom-tailored to resonate with Google’s criteria. 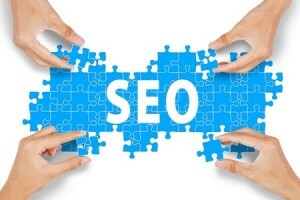 Most individuals do not have a perfect knowledge of everything required for SEO writing when they begin writing. Whether you have been writing for ages and have experience with blogging or whether you have just recently transitioned from one internet marketing career to another, there is a need to practice and perfect the art of SEO writing before it will truly resonate perfectly when pinging search engines. With the use of analytics and other site-based metrics, you will be able to observe over time how each piece of content performs with the targeted audience, whether the targeted audience can see the content, and how search engines rank your content. These elements of observation provide greater insight into your evolving efforts and help determine which strategies and efforts made should be replicated in the future.